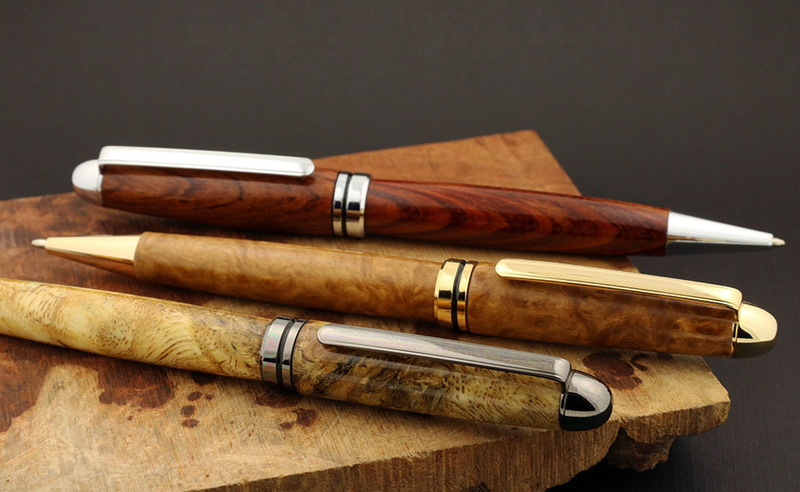 Budget Round Top European 7 mm ballpoint pen kit. Takes Cross-style refills. Requires bushing 107A, drill 7 mm, pen mill shaft 7 mm, and mandrel A/7 mm. 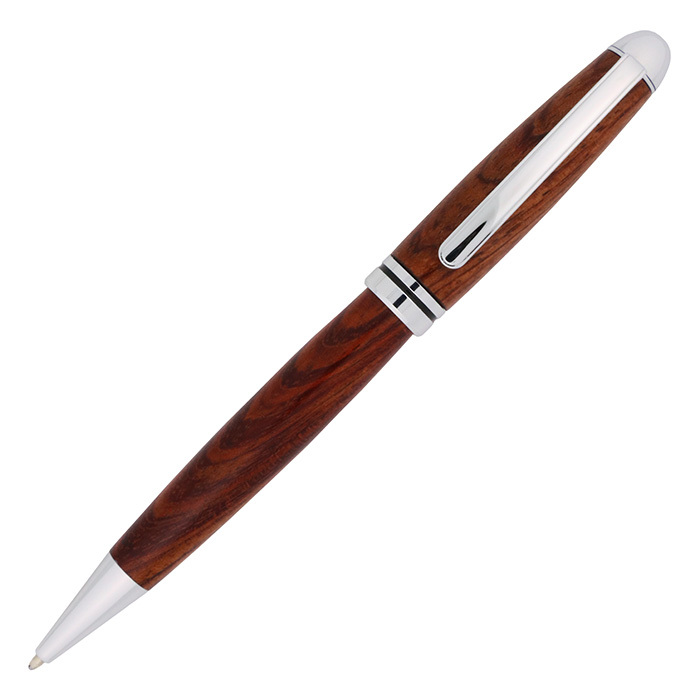 Shown here in Cocobolo (blank not included). Pen by Norm Kane, Guelph ON.